Blotch, aka screwbald (derived from "skewbald" and "screwball"), is the alias of the collaborative works between the artists Kenket and BlackTeagan, one sketching and the other painting. The character "Blotch" is anthropomorphized as a male leopard. Blotch have attended many conventions, including Further Confusion, Anthrocon, EuroFurence and Midwest Furfest, where they sell prints and original sketches, and has been Guest of Honor at FA: United 2007, Oklacon 2007, Rocky Mountain Fur Con 2008, Further Confusion 2011, ConFurgence 2014, and Furry Fiesta 2014. 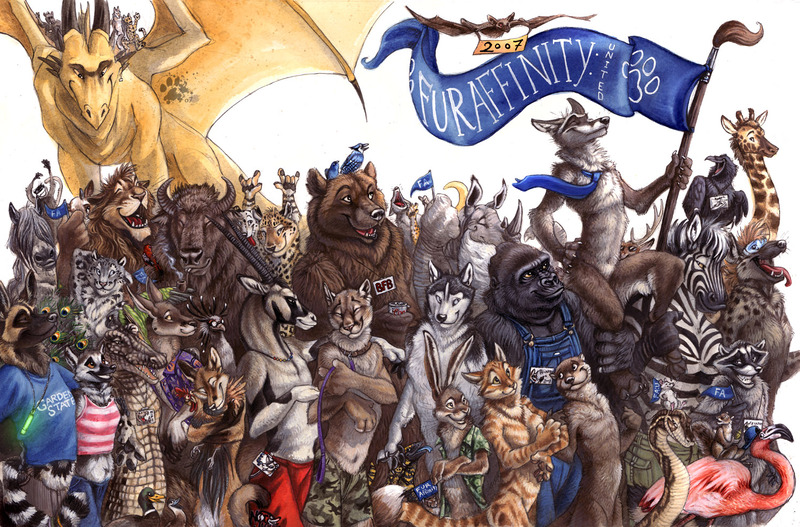 Blotch won the 2007 Ursa Major Award for Best Published Illustration, for the cover of FA:United's con book. 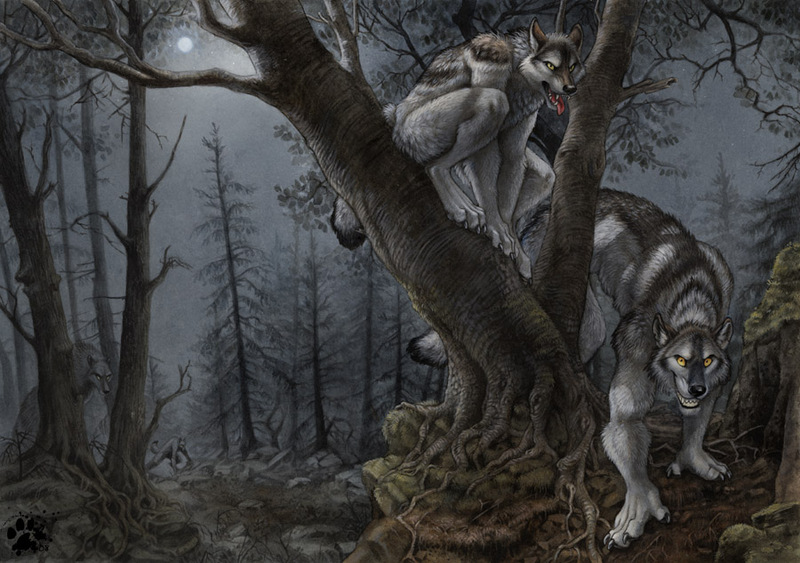 In the 2008 Ursa awards, Blotch won two awards: one for Best Published Illustration for the cover of EuroFurence 14's conbook cover, and another for Best Other Literary Work for the Dog's Days of Summer graphic novel. Blotch again won Best Published Illustration in 2009 (for the cover of Kyell Gold's novel Out of Position) and 2013 (for the cover of Kyell Gold's Divisions). The Blotch team officially started working together since August 2006. Together they contributed artwork to the multi-artist calendar Wish You Were Here, as well as the Werewolf Calendar for 2012, many Sofawolf Press publications, such as Heat, New Fables, cover and interior illustrations for Kyell Gold's novels Out of Position and Isolation Play, and several cards for the Wild Cat Card Deck and the Endangered Ark, among other projects. Blotch also created Dog's Days of Summer, an interactive webcomic that ran through summer 2007, and was printed by Sofawolf Press in summer 2008. In April 2008 and during Anthrocon 2008 it was announced that a prequel would be released called First Time for Everything. In Spring 2009, Blotch announced working on a new graphic novel, Nordguard. The first part of what has been envisaged as a three part series is called Across Thin Ice. The first book is 75 pages printed in full color, and was released at Anthrocon 2011. The comic has received positive reviews both within the furry fandom, and without. IGN rated "Across Thin Ice" an 8/10 in a review from July 2011. The graphic novel is available in comic book stores across the USA, Canada and Europe. As of January 2012, the Blotch duo were working on the second installment of Nordguard, to be tentatively released in summer 2013. In June 2013, Blotch announced that this date would be missed. On February 3, 2014 it was announced that Blotch would be on a bit of a hiatus while Kenket pursued a job opportunity and BlackTeagan worked on a couple of solo projects. two weeks later Blotch was GOH at Furry Fiesta 2014 where they were panelists at Story Improv event, Making Graphic Novels With Blotch event and Storytelling Through Illustration: Taking Your Art Further With Blotch event. The hiatus seems to have been for much of 2014, with no posts to Blotch website in 2014 and no journal post to Fur Affinity since the hiatus announcement, although there has been 29 tweets on Twitter (during 2014 Feb 4-Dec 31). ↑ untitled document (webpage about Blotch). Retrieved 2007 May 23. ↑ Dog's Days Publication Announcement. Retrieved 2007 December 22. ↑ Blotch twitter - Join us ... for the story+improv show! dated Feb 21, 2014. ↑ Story Improv With Blotch / Kyell Gold / Fox Amoore event page at sched.org, archived by Internet Archive on 2014 November 27. Retrieved 2014 November 27. ↑ Making Graphic Novels With Blotch event page at sched.org, archived by Internet Archive on 2014 November 27. Retrieved 2014 November 27. ↑ Blotch twitter - Check out our panel Storytelling through Illustration tonight dated 22 Feb 2014. Retrieved 2014 November 27. ↑ Storytelling Through Illustration: Taking Your Art Further With Blotch event page at sched.org, archived by Internet Archive on 2014 November 27. Retrieved 2014 November 27.